FM Approvals has been made aware of automatic fire sprinklers found in Vietnam bearing a counterfeit FM Approvals mark. FM Approvals has neither tested nor certified this product. The sprinklers bear the marking “TYCO” on the wrench boss and Tyco SINs on the deflector but the identity of the manufacturer is unknown. 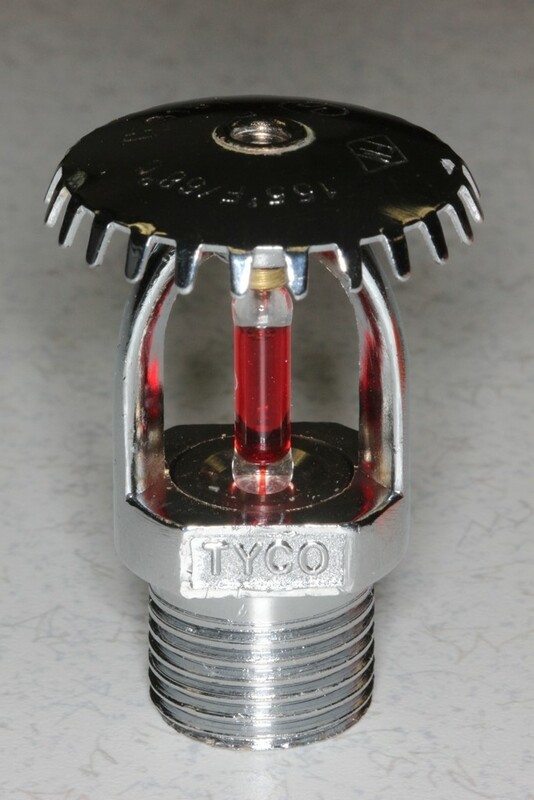 The products are similar in appearance to the Tyco Fire Products TY3151, TY3251, and TY3351 sprinklers. ½” NPT frangible bulb type automatic sprinkler. These automatic sprinklers cannot be relied upon to react to or control a fire. Failure by any of the following mechanisms is possible: failure of the thermal element, orifice leakage, premature or delayed operation, bulb strutting (incomplete fracture), ejection of the deflector, inadequate or excessive discharge rate, corrosive attack, failure to operate, failure to produce an adequate discharge pattern, etc. Of further note is the suspected use of an o-ring type orifice seal, a design which has historically been proven to be unreliable. 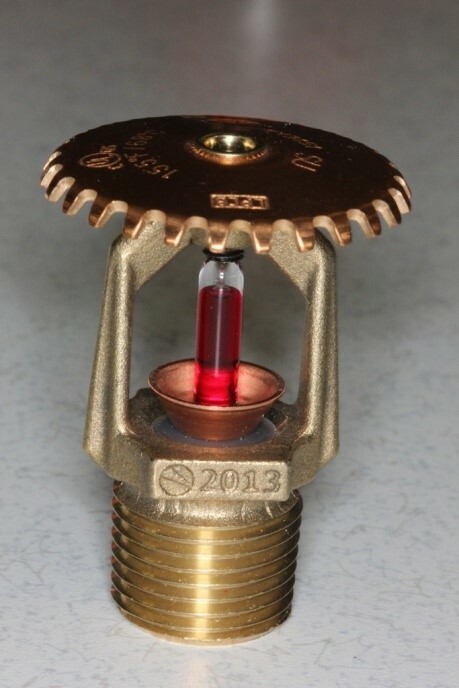 Some o-ring type sprinklers have been subject to mandatory recall per the U.S. Consumer Product Safety Commission. The sprinklers were not produced by Tyco Fire Products. 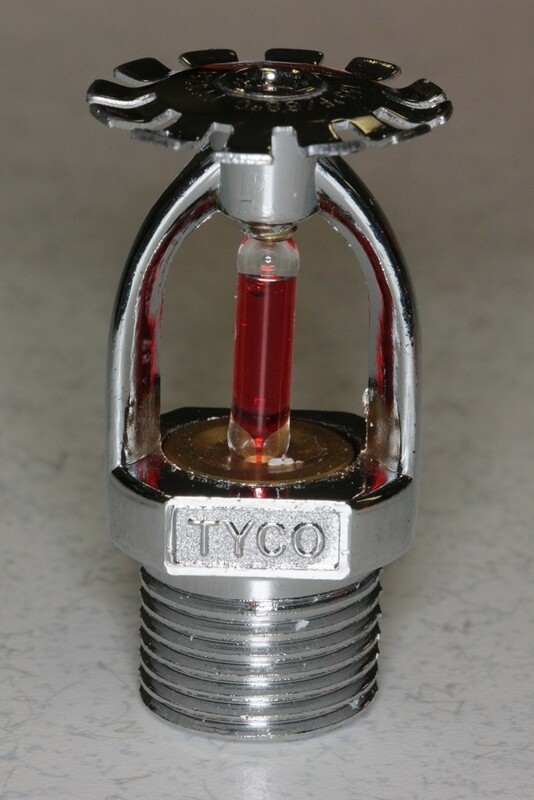 Figures 1 through 3 show a comparison of the shipping guard supplied with the counterfeit sprinklers and an authentic Tyco shipping guard. The two guards look very similar, including a cutout portion highlighted by the yellow arrows. The cutout in the authentic guard is to allow room for the lip of the copper button. 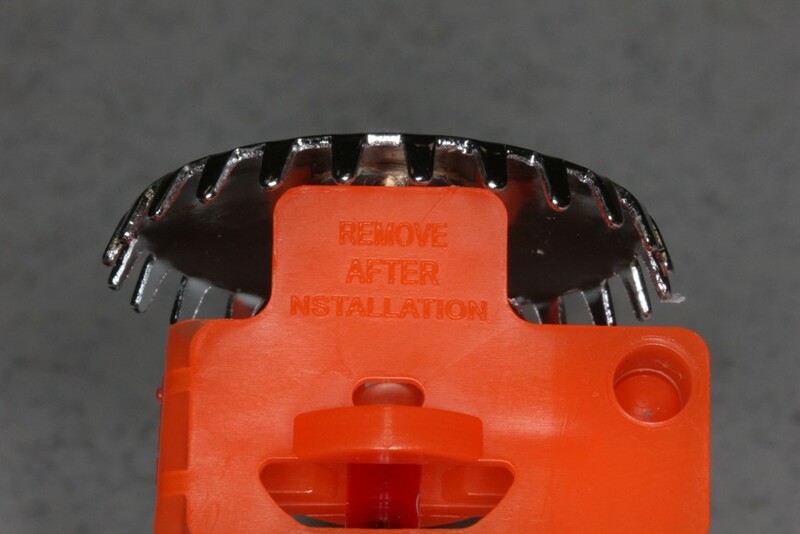 The design of the button on the counterfeit sprinkler has no such protrusion, however, the cutout was copied nonetheless. Figure 2 shows a side view of the shipping guards. The applicable US patent number is shown on the authentic Tyco guard whereas the counterfeit guard has the letters “ULM” molded into it. Figure 3 shows the opposite side of the counterfeit guard as shown in Figure 1. The UL Listed marking appears on the counterfeit protector while UL Listed mark does not appear on the authentic guard. 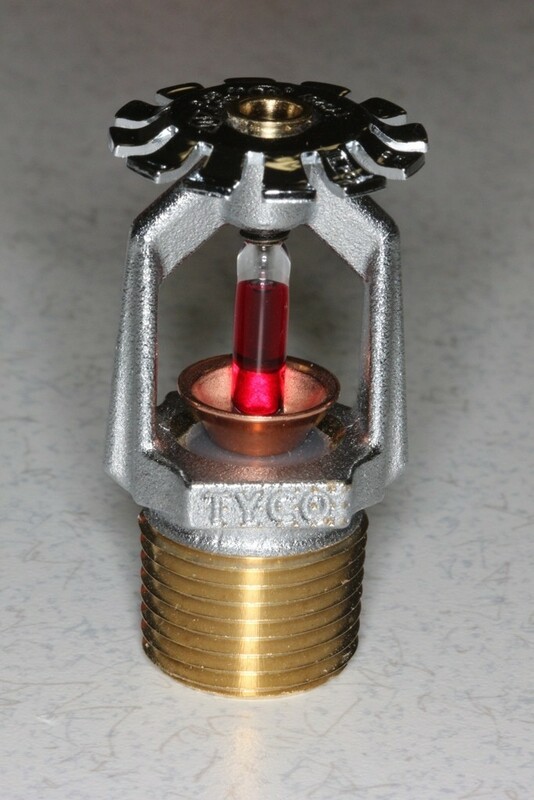 Figure 4 shows the counterfeit upright sprinkler (left) and an authentic Tyco TY3151 sprinkler (right). The shape of the frame arms are different on the counterfeit, and the casting mark in the wrench boss uses raised lettering instead of the recessed lettering used in the authentic sprinkler. The yellow arrows identify the buttons on the respective sprinklers. 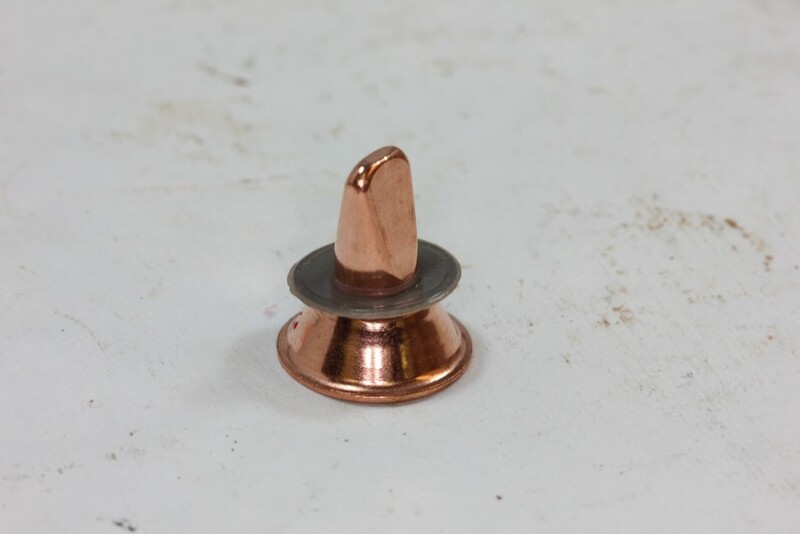 The button used in the counterfeit sprinkler is machined out of a solid blank while the authentic sprinkler uses a button stamped from a copper sheet. Figure 5 shows the opposite profile view of an authentic TY3151 sprinkler. The counterfeit is not shown as it is the same as the profile view shown above left. The authentic sprinkler, however, has the manufacture year cast into the wrench boss on this side, as well a casting pattern identification mark. Figure 6 shows the deflectors of the counterfeit (left) and authentic TY3151 (right) sprinklers side by side. 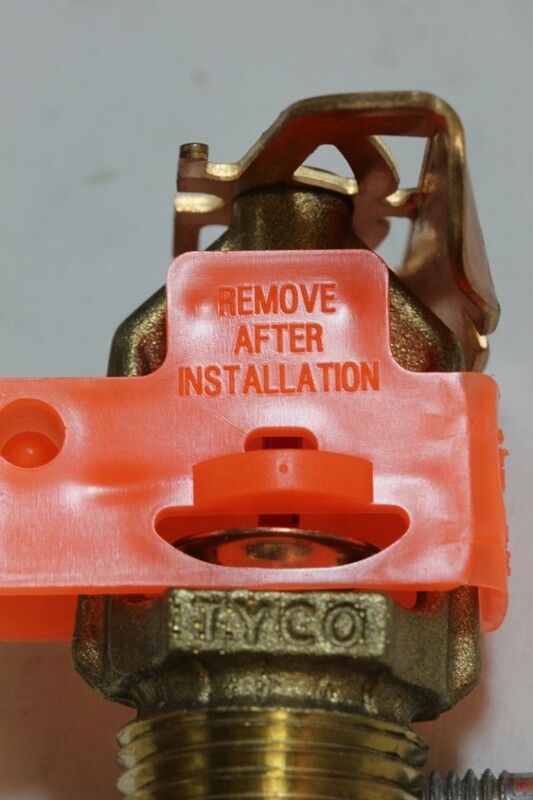 The counterfeit sprinkler lacks the orientation designation “SU” as well as the Loss Prevention Certification Board marking “LPCB.” The yellow arrow indicates the counterfeit FM Approvals mark. 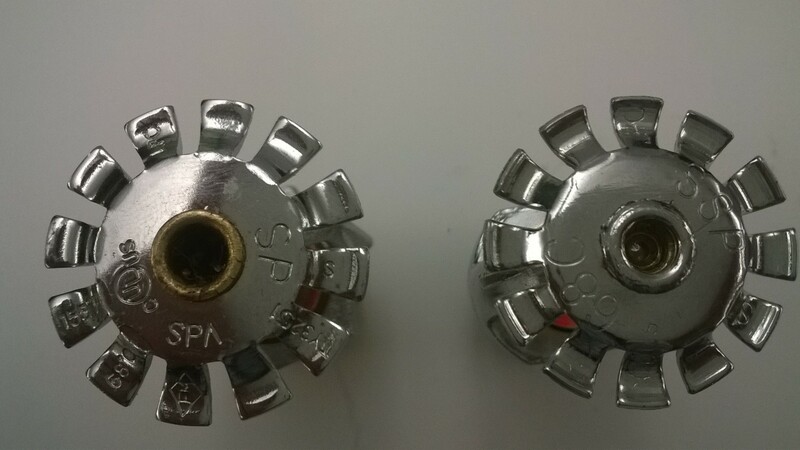 Figure 7 shows a comparison between the underside of the buttons used in the counterfeit sprinkler (left) and an authentic TY3151 (right). 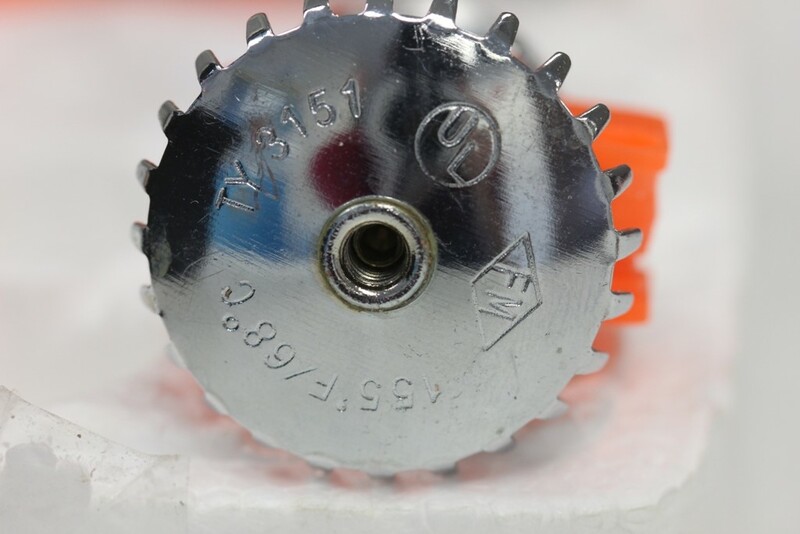 As noted above Figure 4, the counterfeit button is machined, and the underside has an angled slope across half the diameter. 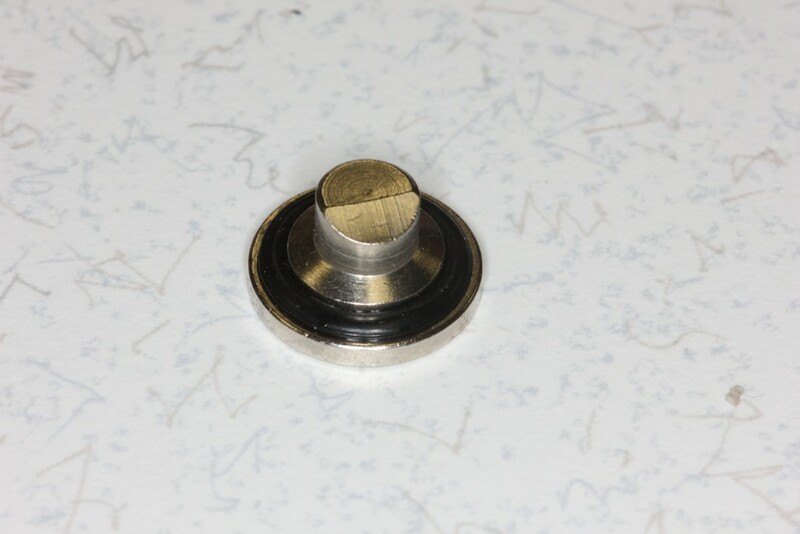 The authentic button has no such feature, and tapers to a smaller, rectangular flat bottom with mostly rounded edges owing to the stamped forming. Figure 8 shows the pendent sprinkler identified as counterfeit on the left and an authentic Tyco TY3251 pendent sprinkler on the right. The frame, button and bulb of the counterfeit pendent sprinkler look identical to the same parts used in the counterfeit upright sprinkler. Similarly, the cast wrench boss marking on the counterfeit pendent uses raised lettering while the authentic sprinkler has recessed lettering. The chrome plating on the counterfeit sprinkler frame exhibits a smooth, reflective quality while the chrome on the frame on the authentic TY3251 is a matte like finish. It is also noteworthy that the inlet threads on the counterfeit sprinkler have chrome plating applied to them, indicating the plating was done after machining. 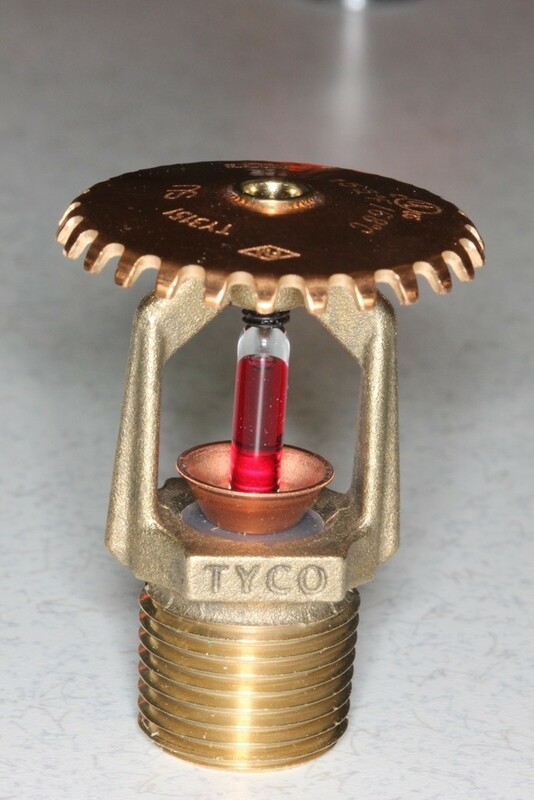 On authentic Tyco sprinklers, the frame is plated prior to machining resulting in bare brass on machined surfaces, including the inlet threads, the inlet bore and the spring seal seat. 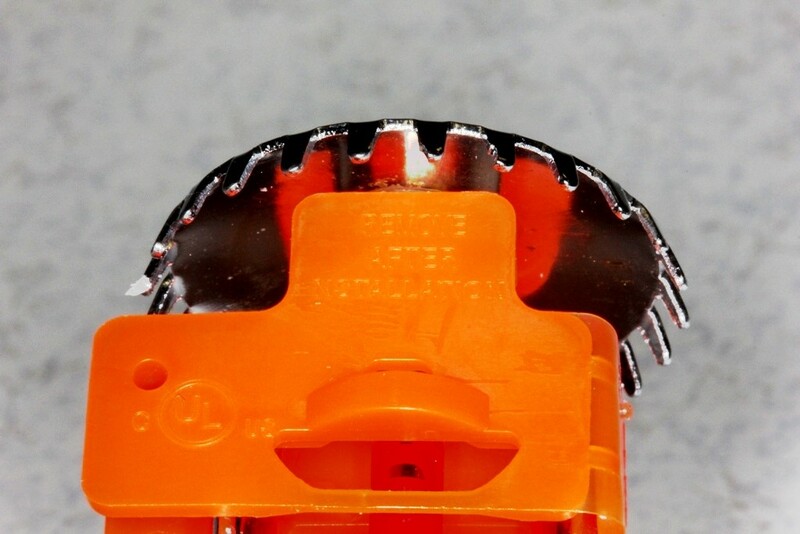 Figure 9 shows close views of the markings on the deflector of the counterfeit sprinkler (left) and an authentic TY3251 sprinkler (right). 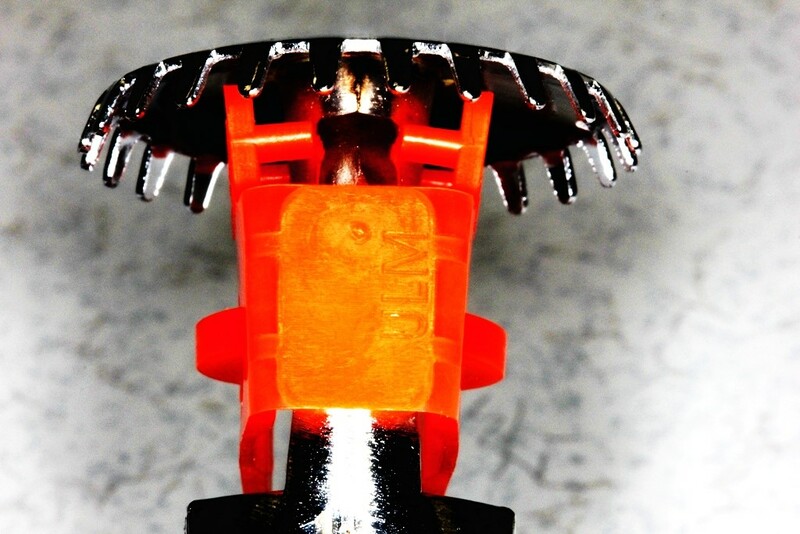 Many of the markings on the authentic sprinkler are stamped into the tines whereas all the markings on the counterfeit sprinkler appear in a circular pattern around the load screw. Missing from the counterfeit deflector is the VdS marking, the LPCB marking, and the orientation marking “SP.” The yellow arrow indicates the counterfeit FM Approvals mark. 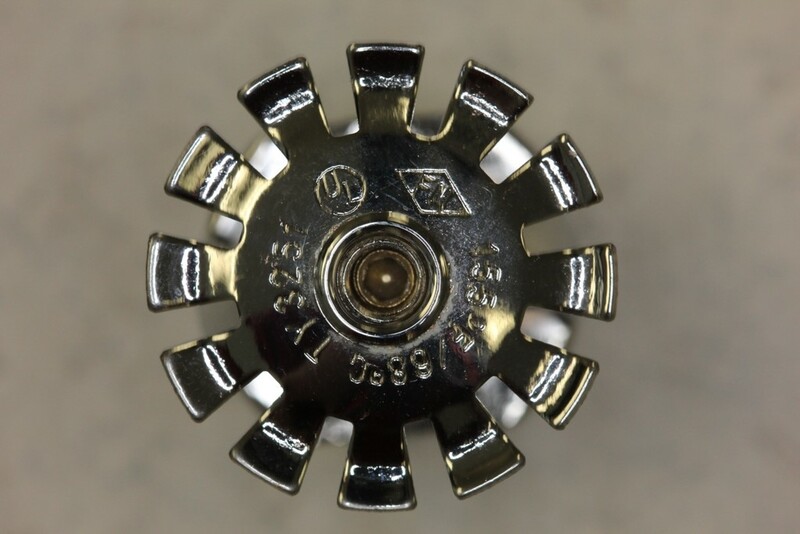 Figure 10 shows the horizontal sidewall sprinkler identified as counterfeit on the left and an authentic Tyco TY3351 horizontal sidewall sprinkler on the right. 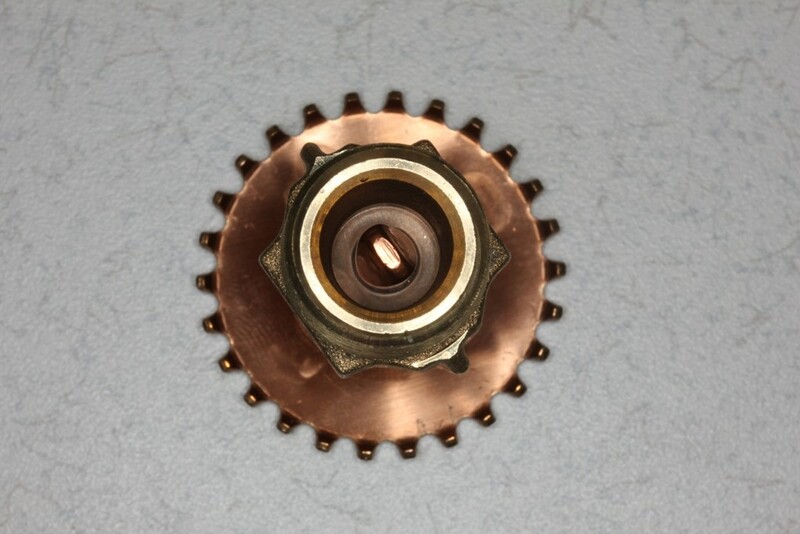 The frame, button and bulb of the counterfeit sprinkler look identical to the same parts used in the counterfeit upright and pendent sprinklers. Similarly, the cast wrench boss marking on the counterfeit uses raised lettering while the authentic sprinkler has recessed lettering. The chrome plating on the counterfeit sprinkler frame has the same finish quality as the upright and pendent. The deflector on the counterfeit sprinkler in this case is very different from the authentic version. The orientation is also different, as the authentic TY3351 is intended to be installed with its frame arms perpendicular to the ceiling, while the counterfeit sprinkler uses a deflector style that would indicate installation with frame arms parallel to the ceiling. Figure 11 shows the deflector of the counterfeit horizontal sidewall sprinkler. The yellow arrow indicates the counterfeit FM Approvals marking. The markings on the authentic TY3351 are shown below in Figure 12 for comparison. Several markings appear on the authentic deflector that do not on the counterfeit. 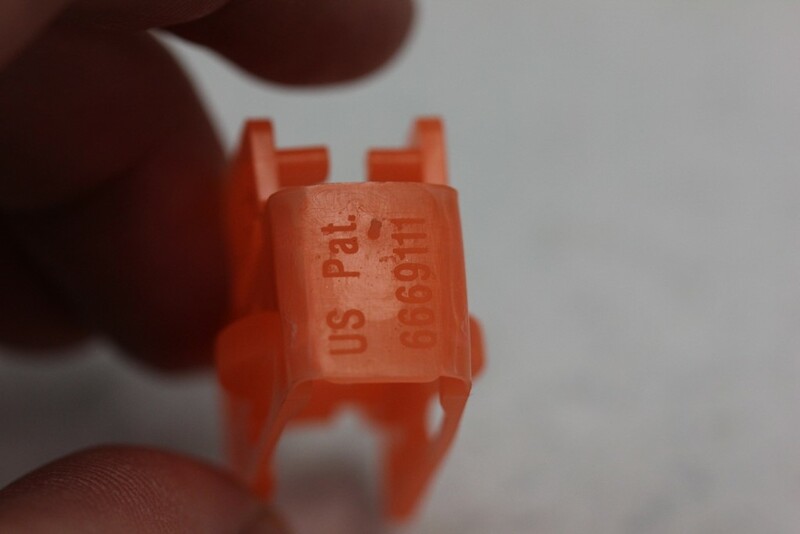 Additionally, the counterfeit has a different sprinkler identification marking (SIN) “PS007,” which is a designation assigned to Protector Safety Ind. Co. rather than Tyco Fire Products. Protector Safety Ind. Co. did not manufacture the counterfeit sprinklers. Figure 10 shows the button from one of the counterfeit sprinklers (left) and the button from an authentic Tyco bulb sprinkler (right). 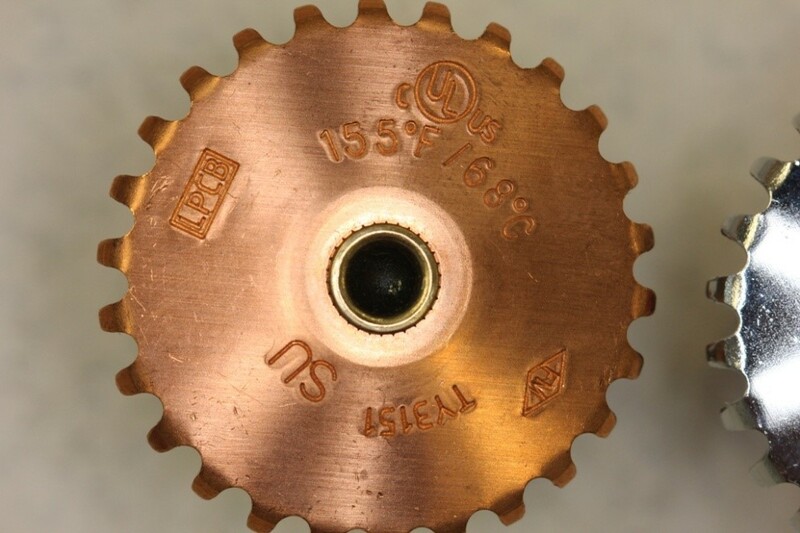 The yellow arrow indicates the o-ring type seal employed by the counterfeit sprinklers to seal the orifice. This type of design has been shown in the past to be unreliable. The blue arrow indicates the PTFE coated spring washer type orifice seal used in the authentic Tyco sprinklers. Designs using a spring washer seal tend to operate more reliably and loading on the operating element tends to be better controlled. An additional observation was made regarding the counterfeit sprinklers when a permanent magnet was held to various parts. 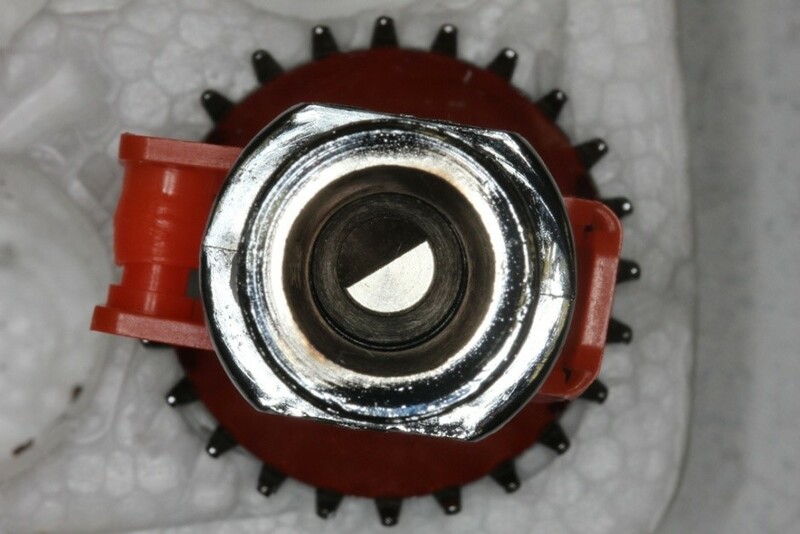 The deflector of the counterfeit upright and pendent sprinklers reacted to the magnet indicating a ferrous material. This is not apparent visually because of the chrome plating. The authentic sprinklers use copper or copper alloyed deflector materials exclusively.  FM Approvals diligently pursues all misuses of our certification marks whenever they are brought to our attention in order to preserve the integrity of the FM APPROVED certification mark.